Drain Cleaning in Victorville, CA is fast and easy with Guaranteed Plumbing. 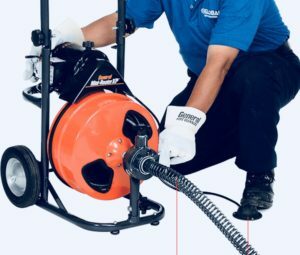 In this article you will learn tips for choosing the right drain cleaner, moreover, this site can connect you to an expert drain plumber. In case of drains backing up the first step is to determine what drains are affected. For instance, toilets and showers will need a mainline drain machine. Here is a video of this type of machine. Yes even when the septic is old you might only be dealing with a clog in the main drain line. Its important to talk with a plumber and get quotes to compare prices. Do not attempt operating a sewer machine without experience. Drain Cleaning is dangerous and life threatening. Nevertheless, solving a clog requires knowing what is clogged and then using the right equipment. Pay for mainline drain cleaning here. In the case of a single clog, such as a garbage disposal or toilet, the Plumber will use completely different tools and is done much faster , often with a lower price.